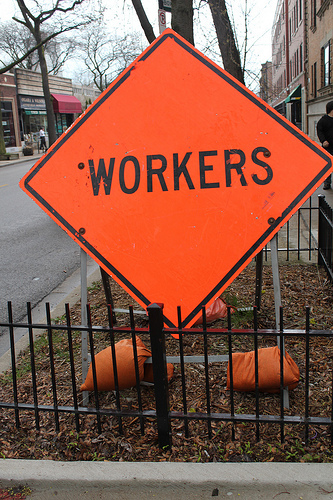 The Church recognizes the dignity of work and the reality that workers have rights. Among these rights is a just wage. The Catechism of the Catholic Church calls a just wage the “legitimate fruit of work” (2434). Such wages allow workers to provide a healthy livelihood for themselves and their families. Proper compensation for work connects to the common good. When hard-working people do not receive just wages, all of society suffers. The family is affected negatively in terms of relationships and health. Let the working man and the employer make free agreements, and in particular let them agree freely as to the wages; nevertheless, there underlies a dictate of natural justice more imperious and ancient than any bargain between man and man, namely, that wages ought not to be insufficient to support a frugal and well-behaved wage-earner. Profits are never more important than people. Yet sometimes people are marginalized for the sake of the bottom line. Businesses, corporations, and all economic activity are good in as much as they serve the needs of people (CCC 2432). Work, a form of continuing our participation in God’s creation, is our way of providing for a dignified livelihood. How does another worker’s unjust wage affect me? What prices am I willing to pay to support those companies and business who place people over profits? What responsibility do I have to help others seek a dignified livelihood?